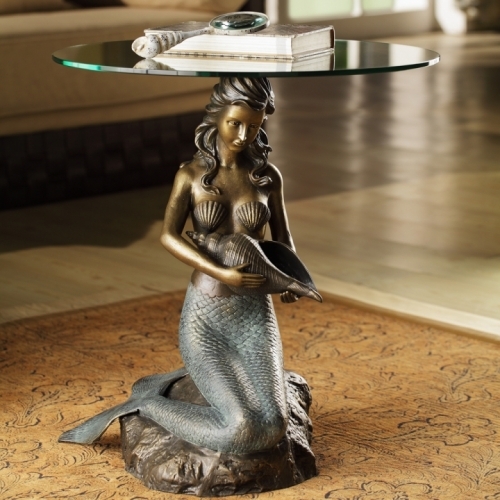 From the Coastal Collection, this exquisite Mermaid with Sea Shell Table is meticulously crafted by hand to ensure the finest details and quality. The stunning design will enhance the beauty of your home or office. An elegant and timeless piece of artwork that will be enjoyed for a lifetime. Makes a great gift!